This hypnotic heart slouch is great for Valentine’s Day, Christmas or any cold day of the year. The hearts are warming and stylish, so you can wear this with any outfit. And, it’s the perfect way to teel someone that you love them. 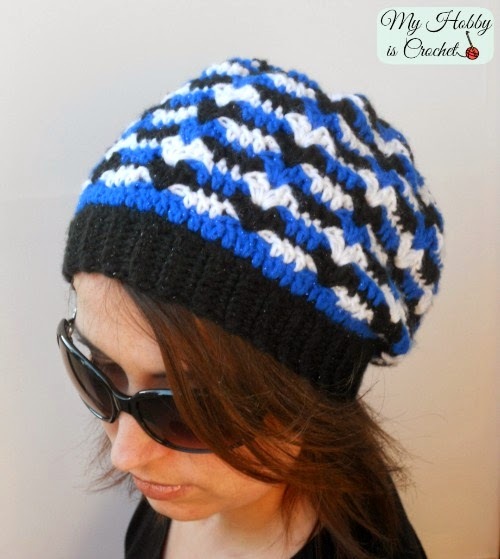 The pattern calls for a medium weight yarn in one or more colors and a 4mm and 4.5mm crochet hook.